The Tata H2X concept made its public debut at the 2019 Geneva Motor Show earlier this month. 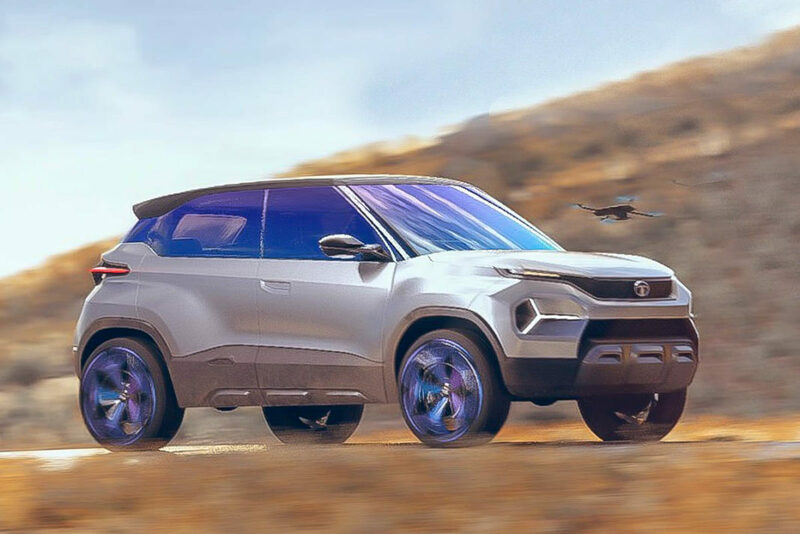 This micro-SUV concept will give birth to a production-spec model that will compete with the Mahindra KUV100 and Maruti Ignis. 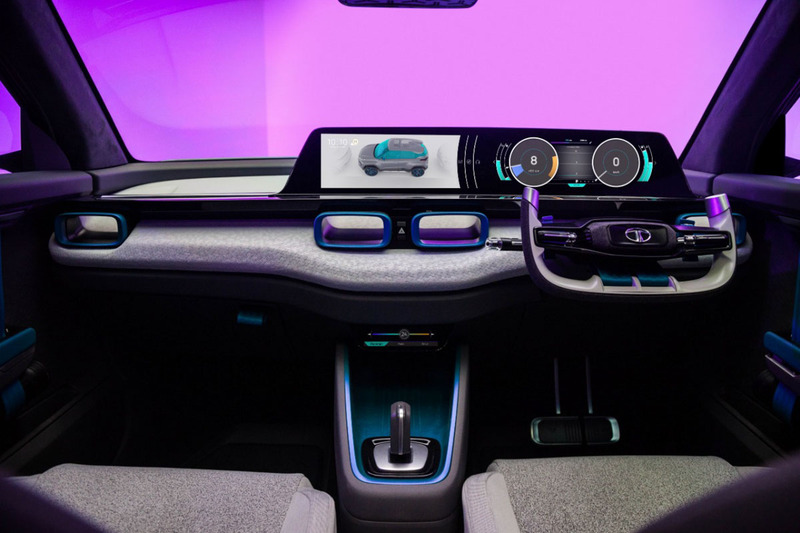 The production model will make its public debut at the Auto Expo 2020 and the company has already said that it will look 70-80% similar to concept version. As shown by the H2X concept, the new model will look like a smaller sibling of the Harrier. It will have many bold design bits and will offer a modern cabin with several advanced features. The concept model featured a fighter jet-like steering wheel, ‘Coanda’ AC vents and a dual-screen setup. 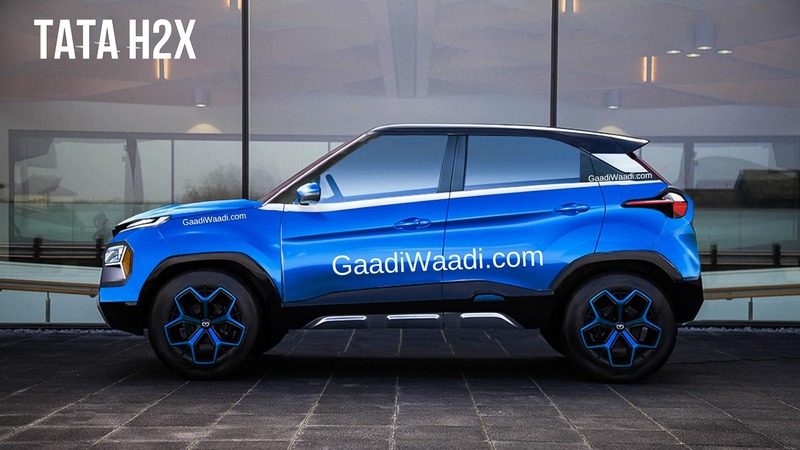 Compared to the concept, the production version of the Tata H2X will have bigger headlamps, a conventional grille, smaller wheels, and less flared wheel arches. However, as revealed by Pratap Bose, Head of Design, Tata Motors, the new model will have a boxy silhouette and a bold stance. The Tata H2X concept has been designed as per the company’s Impact 2.0 design theme. Its front fascia has a lot of similarity with the Harrier and comes with a similar multi-tier lighting arrangement with high-set LED DRLs and the company’s trademark tri-arrow pattern. The side profile will have bold wheel arches, blacked-out pillars, and large alloy wheels. The Tata H2X is underpinned by the company’s Alfa-Arc scalable platform that will make its debut in the Altroz. Powering the new model will be a 1.2-litre petrol engine that will offer a higher power output than both Maruti Ignis and Mahindra KUV100. This engine could be either the same all-new motor that has been developed for the Altroz or the turbocharged 1.2-litre motor that powers the Nexon. The Tata H2X concept measures 3,840 mm in length, 1,822 mm in width, and 1,635 mm in height. It has a wheelbase of 2,450 mm, which is 51 mm shorter than that of the Tata Altroz. The production version should be similar to the concept in terms of dimensions.